Wangfujing Catholic Church (Eastern Church) Wangfujing Catholic Church, known as the Eastern Church, is located on famous Wangfujing Avenue in Beijing. 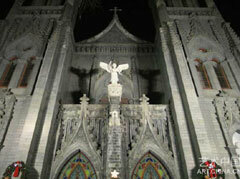 It was first established in 1655. 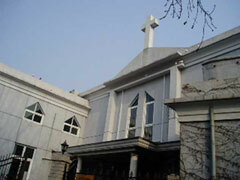 Xishiku Catholic Church (Northern Church) Xishiku Catholic Church, also known as the North Church, is where the Beijing Cardinal Bishop Office is located. 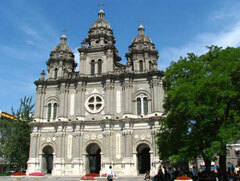 Xizhimen Catholic Church (Western Church) The Western Church, located on the southern side of Xizhimen Nei Street, is the newest church of the existing four. 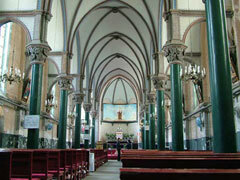 Dongjiaomin Alley Catholic Church Dongjiaomin Alley Catholic Church, also known as St. Michael's Church, was built in 1901 in the 27th Year of Emperor Guangxu's rule. 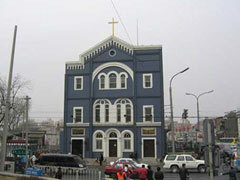 Beijing Haidian Christian Church The Beijing Haidian Christian Church was originally built in 1933. 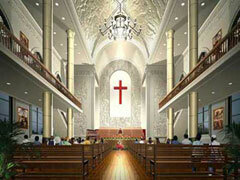 Now, a larger church was erected in its place. 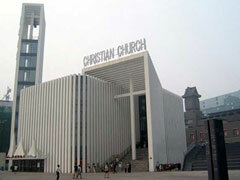 Chongwenmen Church The Chongwenmen Church of Beijing Christian Council was the first church constructed by the American Methodist Church in northern China. 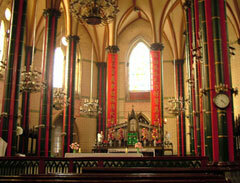 Zhushikou Protestant Church Zhushikou, meaning Pearl Market entrance, dates from the Ming dynasty (1368-1644) when it was known as Pig Market. Guanghua Temple Guanghua Temple, built sometime during the Yuan Dynasty (1271 - 1368), is a prominent Beijing Buddhist temple. 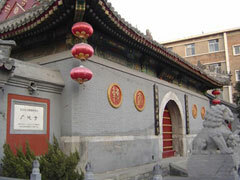 Tongjiao Temple Tongjiao Temple is an eminent Beijing Buddhist temple located in a deep alley off a back street in the Inner Dongzhimen district. 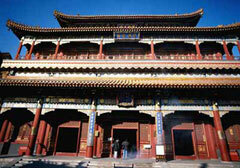 Fayuan Temple Fayuan Temple was built during the Tang Dynasty (618-917). 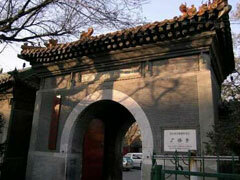 It is the oldest ancient Buddhist temple in Beijing. 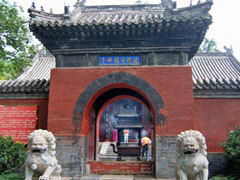 Guangji Temple Guangji Temple, also known as "Hongci Guangji Temple", was originally known as the Xiliulin Temple during the Jin Dynasty. 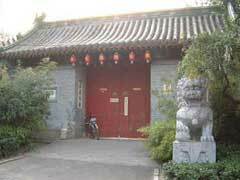 Yonghegong Lamasery This magnificent structure was once a royal residential building called the Prince Yong Mansion. 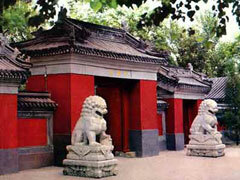 Tanzhe Temple The Chinese have a centuries old proverb: "First there was the Pool and Cudrania Temple, then came Beijing". Hongluo Temple The Red Shells Temple, or Hongluo Si received its name from a legend that two spiral shells gave out red light in the evening. 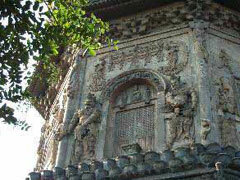 Tianning Temple Pagoda This pagoda is one of the earliest tall buildings of the ancient capital and a valuable memento of the Liao Dynasty.